With the rapid growth in smartphone adoption over recent years, mobile websites and web pages are essential in helping consumers make immediate choices using the device they carry with them every day. 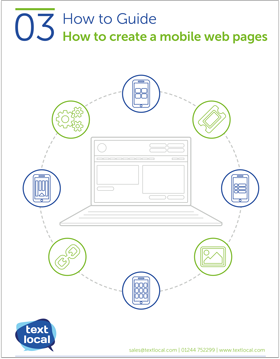 This guide covers everything you need to know about building mobile web pages to make your communications much more effective. Are you ready to build your own mobile web page?